Bicycle Lanes are designated lanes in the road specifically for cyclists. They are designated by a white stripe and a bicycle symbol. They allow cyclists to travel at their own speed separate from motor vehicles. Most of the time, a bike lane runs on the right of the motor vehicle travel lane that flows in the same direction. Sometimes the lanes will be on the left side if there are more transit stops on the right. The Pedestrian and Bicycle Information Center states that bike lanes are typically four to six feet wide but, “wider bike lanes (six to seven feet) and/or buffers provide additional operating space and lateral separation from moving and parked vehicles, thus increasing bicyclists’ sense of comfort and perceived safety and reducing the risk of ‘dooring’ from parked vehicles.” ‘Dooring’ is when someone opens their car door without first checking for oncoming cyclists, and therefore creates an obstacle within the bicycle lane. Related: The Best Idea Since Protected Bike Lanes? In some instances, colored pavement is used to better distinguish the location of a bicycle lane. These lanes are a great way to provide safe travel for cyclists on busy, congested roads, and are proven to improve safety for motor vehicle drivers as well. When building bicycle lanes, there are many requirements to take into consideration, for example, the surface must be smooth, and crosswalks must extend into the lanes. Also, the termination of bike lanes in vulnerable situations should always be avoided. Bicycle lanes are very popular in major cities where commuting is part of the norm. One thing to keep in mind is that bicycle lanes are usually filled with cyclists traveling higher speeds. Small children traveling at less than 5 mph are much safer on sidewalks. 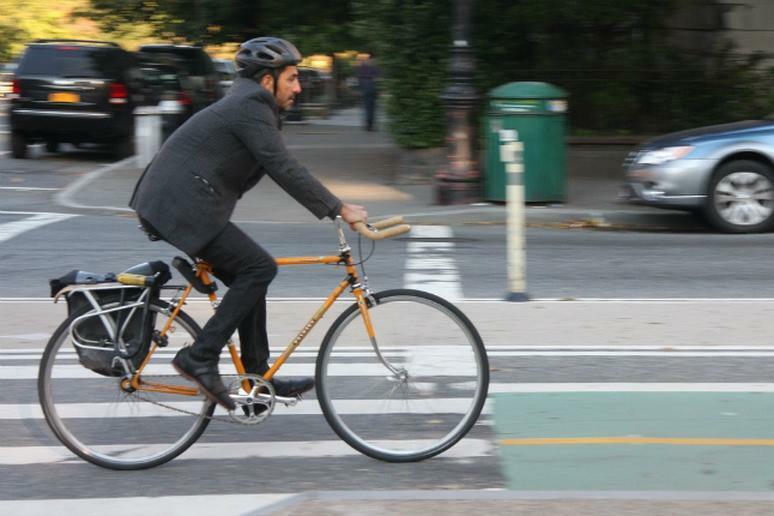 With an average cost around $130,000, five-foot bicycle lanes can sometimes be costly, but prove to have major benefits. Learn more about planning bicycle lanes at the Pedestrian and Bicycle Information Center.